When a package arrived at my front door a few weeks ago playing a carnival theme tune I was massively intrigued. Hello Michael and welcome to Bookaholic Confessions! Thank you so much for taking part in this interview. Please could you kick things off by introducing yourself? Well, thanks for having me on! 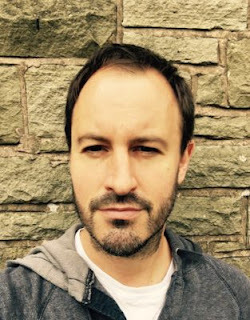 My name is Michael Ford, and I’m a 37-year-old writer of children’s and adult fiction. I live in the north of England with my wife, kids and dogs. 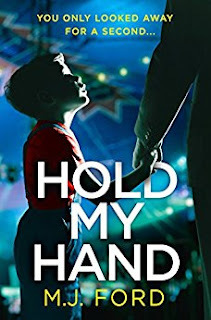 I am very excited to read your debut novel, Hold My Hand – it sounds absolutely AMAZING! Please could you tell us a bit more about the story? Well, it all starts with a kidnap at a carnival, thirty years ago. A little boy in a red football shirt, led away by a clown. And we see it all through the eyes of the only witness, a seven-year-old girl called Jo Masters. Thirty years later, Jo Masters is a tough detective with a messy personal life, when she gets a call that the remains of a child have been discovered, wrapped in a tattered red shirt. It’s her chance to make amends, to find the culprit she failed to stop three decades before, but she’s taken off the case for personal reasons. Even while she’s still stewing over this, another child is kidnapped, at a fair in Oxford, by a man in a clown mask. Jo is not one to jump to crazy conclusions, so she resists the idea this could be the same kidnapper, still operating after such a long hiatus. 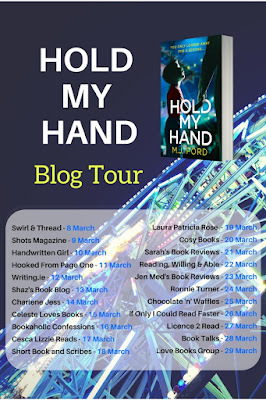 However, connections between the two cases slowly reveal themselves, and it all builds to a horrifying conclusion that almost costs Jo, and those close to her, everything. Where did you get the inspiration behind Hold My Hand? As if often the case, it’s not one specific thing that inspires me, but a combination. I’d been knocking some ideas around with a friend at the publisher, and it was around the time of clown hysteria in the news. We thought that might be a good ‘hook’ for the book, and indeed it had the working title ‘Killer Clown’ for a while. The novel, though, is as much about the personality of the main character as the mechanics of the crime. There’s been a lot of strong, interesting female leads on TV police dramas over the years, and I was keen for Jo Masters to stand equal to them. But in some ways, she and I share personality traits too. The setting, Oxford, seemed ripe for exploration – outwardly romantic, medieval and distinguished, but with a flipside as a modern city with modern problems of drugs, desperation and criminality. Geographically, I tried to keep the book fairly accurate to Oxford itself and the surrounding area, but the main research I carried out was in talking to an active police officer about some of the procedural elements of the book. Beyond that, I wouldn’t say I did any research as such. Many of the scenarios and characters are based on real events though. In the very practical sense, yes. I wanted to be a calligrapher when I was first introduced to it by a teacher at the age of nine. I spent all my pocket money of ever more elaborate nibs, paper and inks, and filled whole books with alphabets in the various scripts. I would copy out poems and other bon mots, for no other purpose than they looked pretty. I wasn’t even much of a reader until I really started to enjoy English at school. I had a particularly brilliant teacher (shout out to Mr Andrews), who introduced me properly to poetry, and my first (very bad!) creative efforts were in that field. 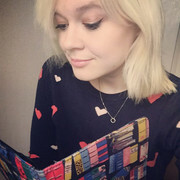 I read more avidly in my late teens and at university, but it wasn’t until I started work as an editor that I really began to get the writing bug. Can you give any advice to any aspiring authors out there? I think it’s hard to pinpoint a piece of advice that isn’t already covered in the numerous books and blogs about writing, and I’m sure your readers will have heard them all before. But I’ll try! I’d say it’s important to know what you want to write and to stick to it. Books grow outwards from a seed to a sapling to a tree. But it’s all there in the seed at the beginning. Getting the essence of the project, the ‘hook’, can be useful. Maybe even try and write the blurb, that flavour of the taste you want. Who are your favourite authors and which genre of books do you like reading? I have fairly mixed tastes. My favourite book is probably The Remains of the Day, by Kazuo Ishiguro, or The Grapes of Wrath, by John Steibeck, but my favourite author, whose books I would go to for sheer reading pleasure, would be either Roald Dahl, or Michael Crichton, I love crime fiction, especially American police procedural stories – Ed McBain and Joseph Wambaugh spring to mind. I’m working on the follow-up to Hold My Hand. It’s untitled as yet, but we join Detective Jo Masters six months after the previous book ended. She’s lauded for her role solving the case, but she still carries the mental and physical scars. 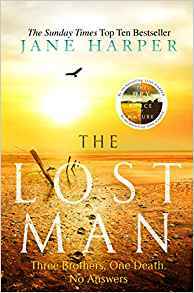 When a female student goes missing from an Oxford college under suspicious circumstances, all eyes are on the celebrated Jo Masters. Can she find the student before it’s too late. Then a body is found in the frozen River Cherwell…. A huge thank you to Michael, and to Sabah at Avon.